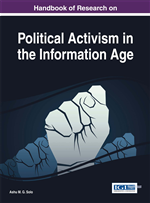 Advances in information and communication technology seem to promise a revolution in politics. Social media appear to overcome the perceived limitations of representative democracy, allowing more direct and democratic politics less influenced by “elites.” In this chapter, the authors note the nature of this promised revolution, arguing that e-democratic politics and its hopes of democratizing political authority have in large measure not succeeded. Social media have, however, inaugurated a different form of e-politics, one that attempts to democratize knowledge or perhaps wisdom. Blogging, YouTube, Facebook, and Twitter all provide new forms of communication and seem to promise a new Republic of Letters with revolutionary potential. Will the new Republic of Letters prove to be more successful than e-democracy? The chapter examines the nature of the old Republic of Letters and its fate, and in the light of that, assesses the promise of technological innovations in communication to alter the nature of modern politics. Political commentator Roger Cohen (2008) observed, during the long battle for the US Democratic nomination in 2008, that the advantage Barack Obama’s campaign had over that of Hillary Clinton lay in its greater awareness of the importance of modern communications. Clinton had failed to note that the Mutually Assured Destruction of the Cold War days in which she had grown up had been replaced by Mutually Assured Connectivity. She had depended on the old Democratic Party power structures and tapped the old sources of Democratic wealth while Obama developed a grassroots social network (‘netroots’) and a user-friendly Web site to generate enthusiasm and a fortune in donations from over a million supporters. As an online phenomenon, he inevitably generated as much buzz abroad as at home. Obama understood that, in the globalized world of MySpace, LinkedIn and so on, the future would be determined by ‘sociability and connectivity,’ with sociability as strong a force as sovereignty. ... everything is being globalized except politics. ...We live in a world in which our relations of sociability — our commerce, culture, ideas, manners — are increasingly shared, coordinated by newly global conversations in these domains, but in which our politics remains inescapably national, centered in the nation states that are the only loci of sovereign decision making (Grewal, 2008, p. 50). Grewal analyzes the history of globalization starting from the eighteenth century, and notes the long-term effects of previous sociabilities made possible by earlier technological innovations. He investigates the modern phenomenon of ‘network power’ using examples from the domains of technology, language, culture and economy. Twenty-first century sociability, he says, although it is a form of personal sovereignty, has as much capacity to create oppressively imprisoning social structures as does traditional state sovereignty. The liberating potential of new technologies depends for fulfillment on democratic political action and influence. Grewal concludes, however, by pointing to the possibility that ‘epistemic networks’ — professional and other forms of community that share standards, a language and overall view of the world — might be extended so as to produce a convergence at the level of ‘global social imaginaries’.1 Such convergence, he says, ‘might constitute the emergence of a new global subjectivity, a shared consciousness through which any and all forms of conventional sociability could be rethought (and hence transformed)’ (Grewal, 2008, p. 291). Grewal’s brief speculations recall the phenomenon known from the late seventeenth to early nineteenth centuries as the ‘Republic of Letters.’ The ideal of this republic was an egalitarian, cosmopolitan, non-discriminatory community centered on reasonable discourse that could inform policy making in the interests of all. The modern revolution in communications has occasioned a revival of hope for such a virtual republic. In this essay we wish to assess how likely it is that the Internet revolution constitutes a genuine opportunity for such a founding and thus a radical remaking of democratic politics. We will briefly examine the history of the old Republic of Letters and its eventual fate, and then critically examine the potential for new communicative technologies to radically alter political realities either directly, by introducing something called e-democracy, or indirectly by their simply irresistible democratizing force. We conclude that, while technology has undoubtedly and fundamentally changed the way the political game is played, it has not and will not change the nature of the game itself.